Audio Presentation Jeff Lyash, President & CEO, Ontario Power Generation, during December 4th, 2017 at the OEN Networking Luncheon at the Fairmont Royal York Hotel. Audio Presentation | Video Presentation Anthony Haines, President & CEO, Toronto Hydro Corporation, during November 13th, 2017 at the OEN Networking Luncheon at the Fairmont Royal York Hotel. Audio Presentation Rosemarie Leclair, Chair & CEO, Ontario Energy Board, during September 28th, 2017 at the OEN Networking Luncheon at the Fairmont Royal York Hotel. Golf Tournament PHOTOS during July 13th, 2017 Annual Charity event at Station Creek Golf Club, Gormley. Jim Sanders, President, Enbridge Gas Distribution Inc., spoke at our June 16, 2017 Networking Luncheon. Mr. Sanders supports "Pathways to Education" and OEN made a donation on his behalf. 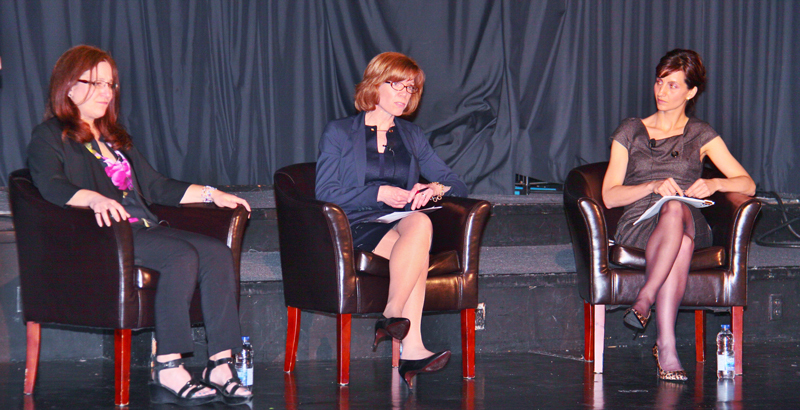 See photos of the Panel Presentation by Cara Clairman, President & CEO, Plug'n Drive, Heather Ferguson Vice President Environment Ontario Power Generation and Josipa Petrunic, Executive Director & CEO Canadian Urban Transit Research & Innovation Consortium (CUTRIC) on "Business Opportunities in Transportation Electrification", during May 18th, 2017 OEN Networking Luncheon at the Fairmont Royal York Hotel. PDF Presentation John Loucks, President, Ontario Energy Network, during May 11th, 2017 at the EDA Niagara Grand District "Spring Technical and Administration Meeting". Audio Presentation David Collie, President & CEO, Electrical Safety Authority, during April 19th, 2017 at the OEN Networking Luncheon at the Fairmont Royal York Hotel. Audio Presentation and Bruce Campbell, President & CEO, Independent Electricity System Operator, during January 31st, 2017 at the OEN Networking Luncheon at the Fairmont Royal York Hotel. Audio Presentation and PDF Document Jeffrey Lyash, President & CEO, Ontario Power Generation, during December 12th, 2016 at the OEN Networking Luncheon at the Fairmont Royal York Hotel. Presentation from Anthony Haines, President & Chief Executive Officer, Toronto Hydro Corporation, during the OEN Networking Luncheon on November 14th, 2016 at the Fairmont Royal York Hotel. Audio Presentation and slides from Dr. Dianne Saxe, Environmental Commissioner of Ontario, during June 13th, 2016 at the OEN Networking Luncheon at the Fairmont Royal York Hotel. Audio Presentation Bruce McCuaig, President & CEO Metrolinx, during May 16th, 2016 at the OEN Networking Luncheon at the Fairmont Royal York Hotel. 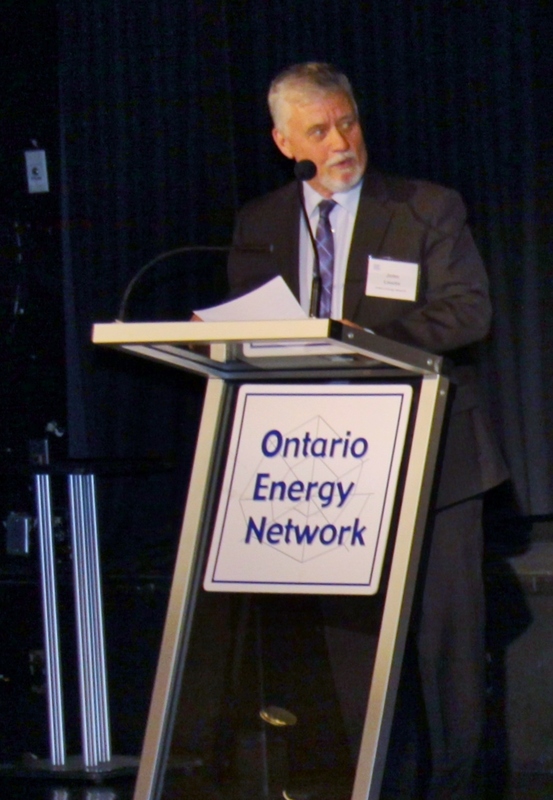 Audio Presentation of Tom Mitchell, President and CEO of Ontario Power Generation, during May 6th, 2015 at the OEN Networking Luncheon at the Fairmount Royal York Hotel. Audio Presentation Steve Baker, President Union Gas Limited, during April 13th, 2016 at the OEN Networking Luncheon at the Fairmont Royal York Hotel. Audio Presentation Barry Perry, President & CEO Fortis Inc. , during March 7th, 2016 at the OEN Networking Luncheon at the Fairmont Royal York Hotel. 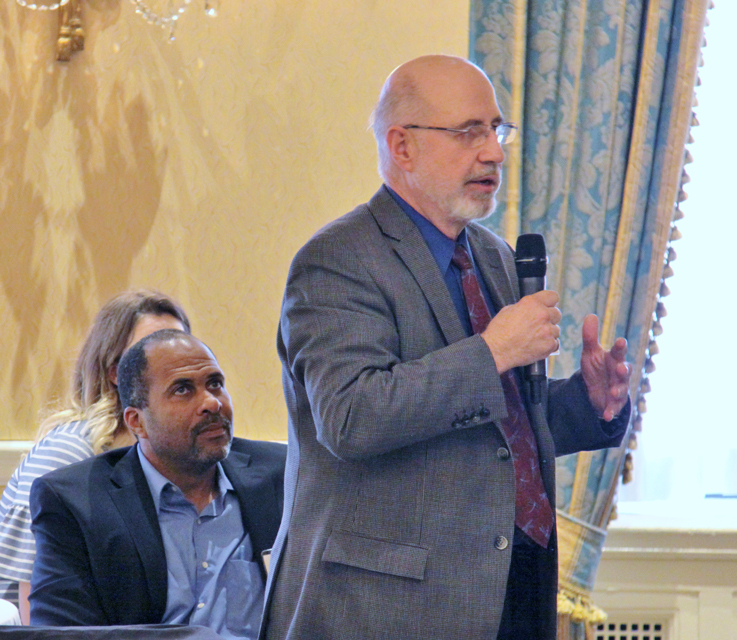 Audio Presentation Greg Lyle, Managing Director Innovative Research Group, during February 16th, 2016 at the OEN Networking Luncheon at the Fairmont Royal York Hotel. 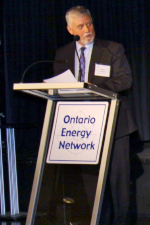 Audio Presentation Tim O'Neil, Chair Independent Electricity System Operator, IESO, during January 11th, 2016 at the OEN Networking Luncheon at the Fairmont Royal York Hotel. 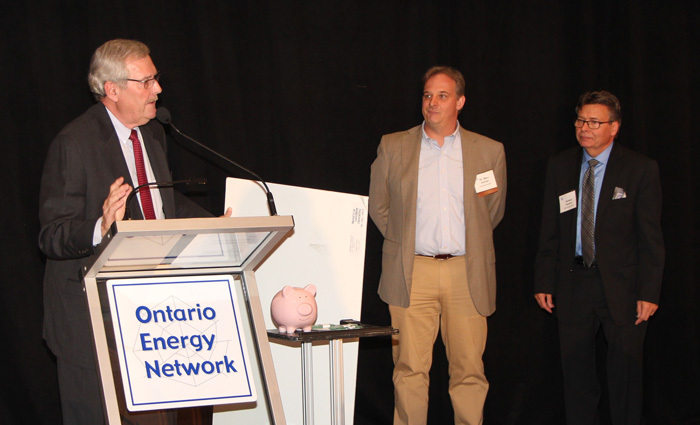 Audio Presentation Jeffrey Lyash, President & Chief Executive Officer, Ontario Power Generation, during December 7th, 2015 at the OEN Networking Luncheon at the Fairmount Royal York Hotel. 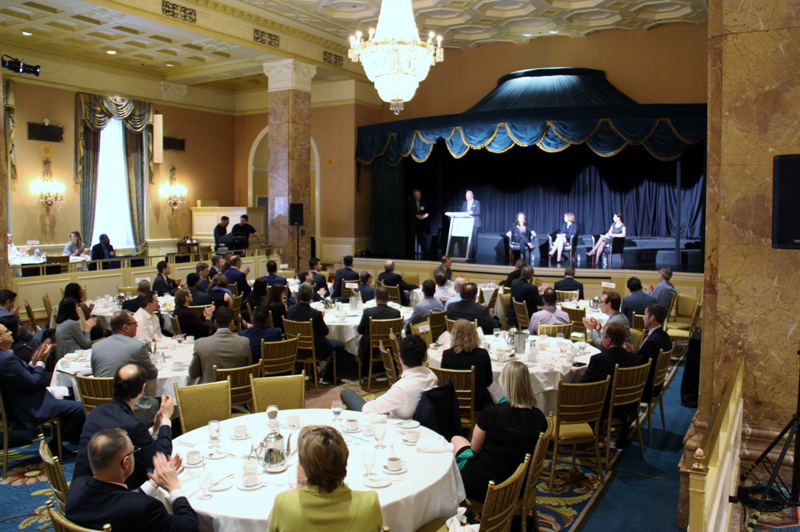 Video and Audio Presentation Anthony Haines, President & Chief Executive Officer, Toronto Hydro Corporation, during November 13th, 2015 at the OEN Networking Luncheon at the Fairmount Royal York Hotel. Audio Presentation and PDF Version by Honourable Sergio Marchi, President & Chief Executive Officer, Canadian Electricity Association, during October 1st, 2015 at the OEN Networking Luncheon at the Fairmount Royal York Hotel. Audio Presentation of Steve Clark, Senior-Vice-President, Canadian and Eastern U.S. Gas Pipelines, during March 23rd, 2015 at the OEN Networking Luncheon at the Fairmount Royal York Hotel. Article published in the recent Electrical Business on Duncan Hawthorne, President and CEO, Bruce Power Inc. and his Audio presentation, during February 11th, 2015 at the OEN Networking Luncheon at the Fairmount Royal York Hotel. 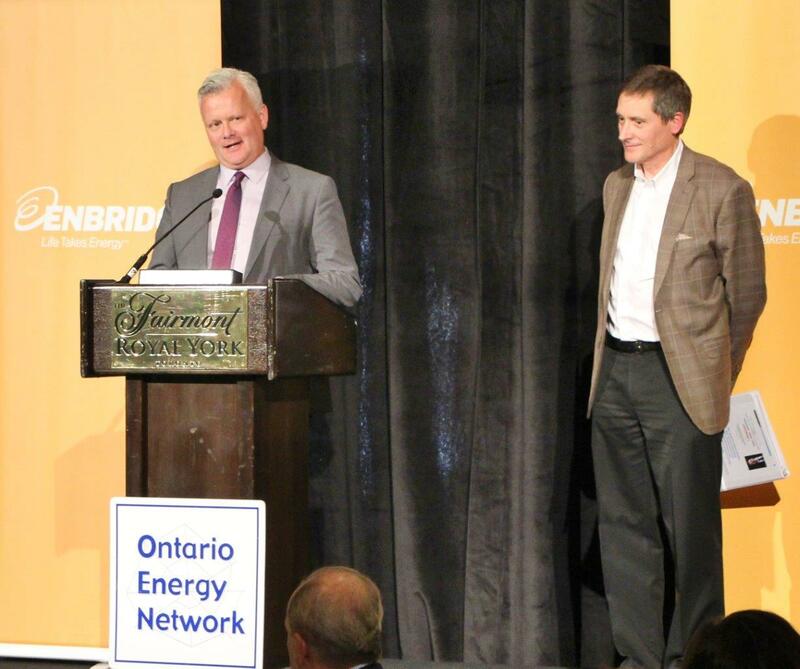 Audio Presentation of Bruce Campbell, President and CEO, Independent Electricity Systems Operator, during January 26th, 2015 at the OEN Networking Luncheon at the Fairmount Royal York Hotel. 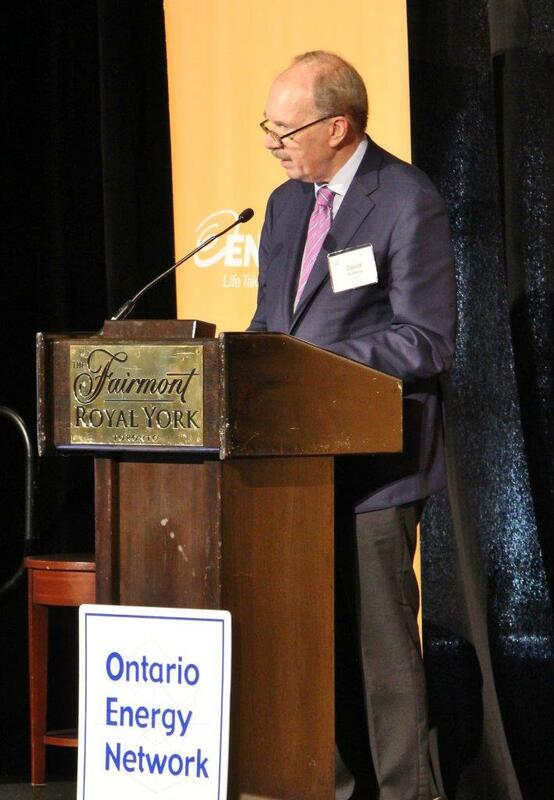 Audio Presentation of Jim Hogan, Chair Electricity Distributors Association and President and CEO, Entegrus, during December 11th, 2014 at the OEN Networking Luncheon at the Fairmount Royal York Hotel. 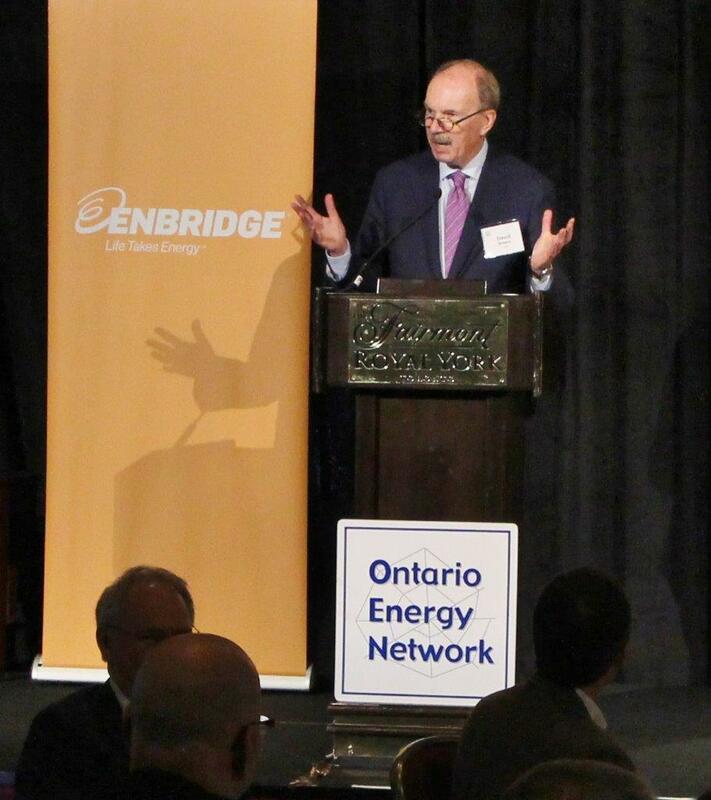 Audio Presentation of Anthony Haines, President & Chief Executive Officer, Toronto Hydro Corporation, during November 27th, 2014 at the OEN Networking Luncheon at the Fairmount Royal York Hotel. Audio Presentation and PDF presentation of Dr. John Barrett, President & Chief Executive Officer, Canadian Nuclear Association., during November 17th, 2014 at the OEN Networking Luncheon at the Fairmount Royal York Hotel. Audio presentation of Bruce Campbell, President and CEO, Independent Electricity Systems Operator, during January 8, 2014 OEN Luncheon at the Fairmount Royal York Hotel. Audio and Slides part of the presentation of Annette Verschuren, Chair and CEO, NRStor Inc., during December 9, 2013 OEN Luncheon at the Fairmount Royal York Hotel. Audio and Video presentation of Duncan Hawthorne, President of Bruce Power, during October 29, 2013 OEN Luncheon at the Fairmount Royal York Hotel. Audio, Video and PDF Presentation slides from the October 9th presentation of Colin Andersen, Chief Executive Officer Ontario Power Authority at the Fairmount Royal Hotel. Event Photographs (taken by Alyssa Dalton, Electrical Business). 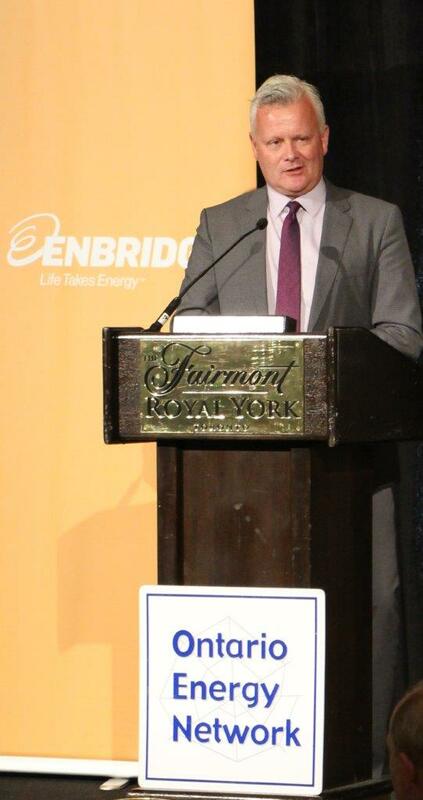 Audio and PDF presentation of Guy Jarvis, President of Enbridge Gas Distribution and Chair of the Canadian Gas Association, during June 19, 2013 OEN Luncheon at the Fairmount Royal York Hotel. Audio and PDF presentation of William J. Daley, President and Chief Executive Officer, FortisOntario Inc., during April 10, 2013 OEN Luncheon at the Fairmont Royal York Hotel. 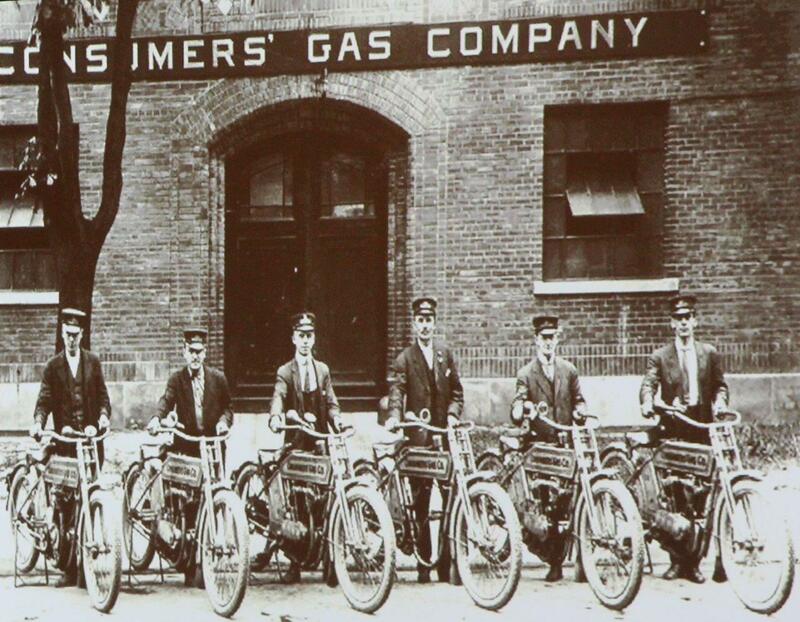 Photos April 10th Bill Daley OEN luncheon by A. Dalton, Electrical Business. Audio presentation of Stephen W. Baker, President of Union Gas a Spectra Energy Company, during February 27, 2013 OEN Luncheon at the Fairmount Royal York Hotel. The Report of the Ontario Distribution Sector Review Panel and Audio presentation during special OEN Luncheon January 15, 2013 at the Fairmount Royal York Hotel. Audio and PDF version presentation of Tom Mitchell, President and Chief Executive Officer, Ontario Power Generation, during December 5, 2012 at the OEN at the Luncheon at the Fairmount Royal York Hotel. Audio and Video presentation of Anthony Haines, President and Chief Executive Officer, Toronto Hydro, during November 5, 2012 at the OEN at the Luncheon at the Fairmount Royal York Hotel. Audio Presentation and PDF format of Colin Andersen, Chief Executive Officer, Ontario Power Authority, during October 23, 2012 at the OEN at the Luncheon at the Fairmount Royal York Hotel. 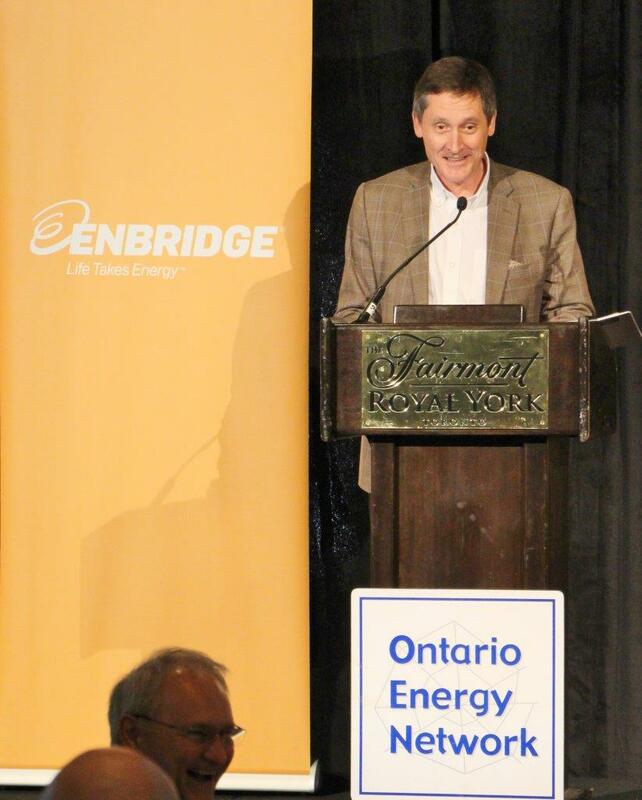 Audio Presentation and PDF version of Max Cananzi, Chair of EDA and CEO of Horizon Utilities Inc., during April 23rd, 2012 at the OEN at the Luncheon at the Fairmount Royal York Hotel. Audio and PDF version Jim Burpee, President and CEO, Canadian Electricity Association(CEA), during March 20th, 2012 OEN Luncheon at the Fairmount Royal York Hotel. Audio Presentation and PDF version Gord Miller, Environmental Commissioner of Ontario, during February 23rd, 2012 OEN Luncheon at the Fairmount Royal York Hotel. Audio Presentation and PDF version Paul Murphy, President & CEO, Independent Electricity System Operator, during January 10th, 2012 OEN Luncheon at the Fairmount Royal York Hotel. Audio Presentation and PDF version Tom Mitchell, CEO, Ontario Power Generation, during December 19th, 2011 OEN Luncheon at the Fairmount Royal York Hotel. PowerPoint Presentation Hal Kvisle, Former Chief Executive Officer (Retired) TransCanada Corporation, during December 6th, 2011 OEN Luncheon at the Fairmount Royal York Hotel. Audio Presentation Rosemarie Leclair, Chair Ontario Energy Board, during November 21st 2011 OEN Luncheon at the Fairmount Royal York Hotel. Audio Presentation David Collie, President & CEO, Electrical Safety Authority, during October 31st 2011 OEN Luncheon at the Fairmont Royal York Hotel. PowerPoint, and Audio Presentation Ed Martin, President & CEO Nalcor Energy Inc., during June 13th, 2011 OEN Luncheon at the Fairmont Royal York Hotel. PowerPoint, Speaking Notes and Audio Presentation Dr. Randy Gossen, President, World Petroleum Council and VP, Global Business Relations, Nexen Inc., during April 13th, 2011 OEN Luncheon at the Fairmont Royal York Hotel. Audio Presentation Laura Formusa, President and CEO, Hydro One Inc., during March 2nd, 2011 OEN Luncheon at the Fairmont Royal York Hotel. PDF and Audio Presentation Brian Bentz, Chair, Electricity Distributors Association and President and CEO, PowerStream, during February 15th, 2011 OEN Luncheon at the Fairmont Royal York Hotel. Audio Presentation Paul Murphy, President & CEO, Independent Electricity System Operator, during January 11th, 2011 OEN Luncheon at the Fairmont Royal York Hotel. Audio Presentation Tom Mitchell, President & CEO, Ontario Power Generation, during December 9th, 2010 OEN Luncheon at the Fairmont Royal York Hotel. Audio and Written Presentation Gord Miller, Environmental Commissioner of Ontario, during November 9th, 2010 OEN Luncheon at the Fairmont Royal York Hotel. Presentation Colin Andersen, President and CEO, Ontario Power Authority, during September 30th, 2010 OEN Luncheon at the Fairmont Royal York Hotel. Audio Presentation Howard Wetston, Chair, Ontario Energy Board, during May 13th, 2010 OEN Luncheon at the Fairmont Royal York Hotel. Audio and PDF Presentation Karl Johannson, Senior Vice President, Canadian Power, during March 4th, 2010 OEN Luncheon at the Fairmont Royal York Hotel. Audio and PDF Presentation David Collie, President & CEO, Electrical Safety Authority, during February 17th, 2010 OEN Luncheon at the Fairmont Royal York Hotel. Audio Presentation Paul Murphy, President & CEO, Independent Electricity System Operator, during January 12th, 2010 OEN Luncheon at the Fairmont Royal York Hotel. Audio Presentation Janet Holder, President Enbridge Gas Distribution Inc., during December 1st, 2009 OEN Luncheon at the Fairmont Royal York Hotel. Audio and Written Presentation Tom Mitchell, President & CEO Ontario Power Generation, during Novermber 9th, 2009 OEN Luncheon at the Fairmont Royal York Hotel. Audio Presentation Anthony Haines, President & CEO Toronto Hydro Corporation, during October 19th, 2009 OEN Luncheon at the Fairmont Royal York Hotel. Power Point Presentation and Audio Presentation Don Drummond, Senior VP and Chief Economist TD Bank Financial Group, during September 22nd, 2009 OEN Luncheon at the Fairmont Royal York Hotel. The Board of Directors of Toronto Hydro Corporation announced yesterday, that, as part of its leadership succession planning strategy, David S. O'Brien, President and Chief Executive Officer, Toronto Hydro Corporation, has advised the Board that he will retire, as President and Chief Executive Officer, effective September 30, 2009. The Board also announced that it has appointed Anthony Haines, currently the President of Toronto Hydro-Electric System Limited (THESL) to the position of President and Chief Executive Officer of Toronto Hydro Corporation, effective October 1, 2009. Mr. Haines will continue in his role as President of THESL. Mr. O'Brien has overseen the successful streamlining of the Corporation's operations and has reinforced its commitment to workplace and public safety. He managed the successful sale of Toronto Hydro Telecom Inc. in 2008 and directed the development of Toronto Hydro's award-winning electricity conservation and demand management programs. He also led the development of an industry-leading Corporate Responsibility framework for the company. Anthony Haines joined the Toronto Hydro Corporation team in 2005 as Chief Administrative Officer and in 2006 was promoted to President of Toronto Hydro Electric-System Limited. "Since coming on board he has strategically restructured the utility and led it through several successful regulatory hearings that have solidified and reinforced the financial strength of the company", said Mr. Copeland. Mr. Haines has overseen the installation of smart meter and back office data management systems that have enabled THESL to lead the province and all North American utilities in the implementation of time-of-use rates. He has launched a formal Customer Relationship Management program, backed-up by the largest capital construction program in Toronto Hydro's history, involving the upgrading of the electricity grid in neighbourhoods across Toronto. Mr. Haines has also launched a workforce renewal program, the recruitment of new trades' personnel to replace retiring workers, and has established a deeply-rooted workplace and public safety culture within the utility. SpeechAudio Presentation Hugh MacDiarmid, President and Chief ExecutiveOfficer of Atomic Energy of Canada Limited, during May 13th, 2009 OENLuncheon at the Fairmont Royal York Hotel. Speech Audio Presentation and PDF Version Laura Formusa, President and Chief Executive Officer, Hydro One Inc., during March 24th, 2009 OEN Luncheon at the Fairmont Royal York Hotel. Speech Audio Presentation Colin Andersen, Director and Chief Executive Officer, Ontario Power Authority, during February 10th, 2009 OEN Luncheon at the Fairmont Royal York Hotel. Speech Audio Presentation Paul Murphy, President and Chief Executive Officer, Independent Electricity System Operator, during January 15th, 2009 OEN Luncheon at the Fairmont Royal York Hotel. Speech Audio Presentation Jim Hankinson, President and Chief Executive Officer, Ontario Power Generation, during December 8th, 2008 OEN Luncheon at the Fairmont Royal York Hotel. President & Chief Executive Officer, Hydro One Inc.
"Ontario secures $800 million investment in province's energy infrastructure"
"OPG's second quarter - 2005 Financial Results"
Veridian Holds Fifth Annual Shareholders' Meeting - Elects new Chair and Vice-Chair. Minister Duncan lays out plans for keeping coal phase-out promise. A Plan for Honouring our Kyoto Commitment.